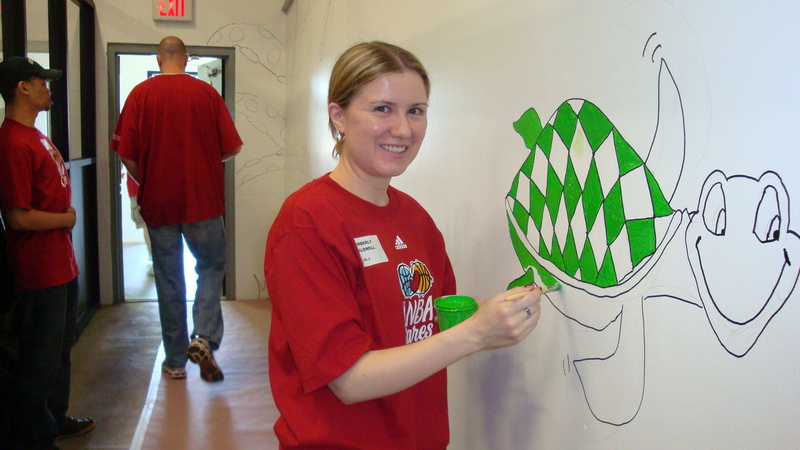 This NBA volunteer did one shell of a job painting this turtle mural at a New Jersey School. Get your company involved with Jersey Cares. Click here to learn more.